For over a hundred years it has been known that energetic charged particles arrive at Earth from space. We call them “cosmic rays.” In the twentieth century it was found that some of these rays are extremely high energy protons traveling at nearly the speed of light. But, the source of the highest-energy protons–up to hundreds of billion-billion electron volts (exa-electron volts, EeV)–is not known. Since these particles are of much higher energy than any we can create with our technology, it is generally thought that they must be produced by processes related to high-energy magnetic fields, shock waves, or some other such phenomena on a galactic or intergalactic scale. These protons arrive more or less uniformly from all directions in space, but the lack of a specific direction of origin could be due either to a large number of sources or to bending of their paths magnetic fields or gas particles as they travel through space. 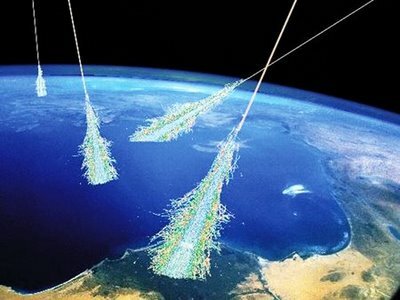 Researchers have found variations in the numbers of cosmic rays arriving at Earth over time, and some of these variations have been traced to known causes such as solar wind and Earth’s magnetic field. It is easy to detect these extremely-high-energy protons. When a high-energy proton hits the upper atmosphere it induces a shower of high-energy “daughter” particles that in turn generate more particles. 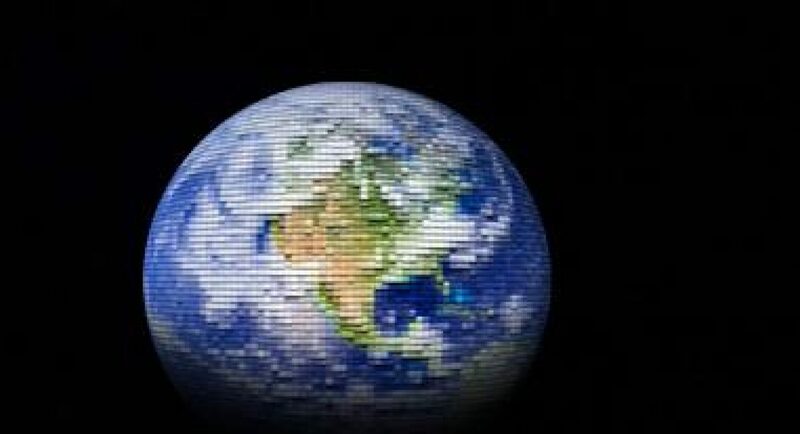 A short while later, a very large number of energetic particles arrives at Earth’s surface, spread over a relatively large area—up to a kilometer in radius. Detectors for such high-energy particles are fairly easy to build, though the rate of particle detection is low for particles with the highest energies. For further information on cosmic rays and observatories, see the Cosmic Ray Wikipedia article.